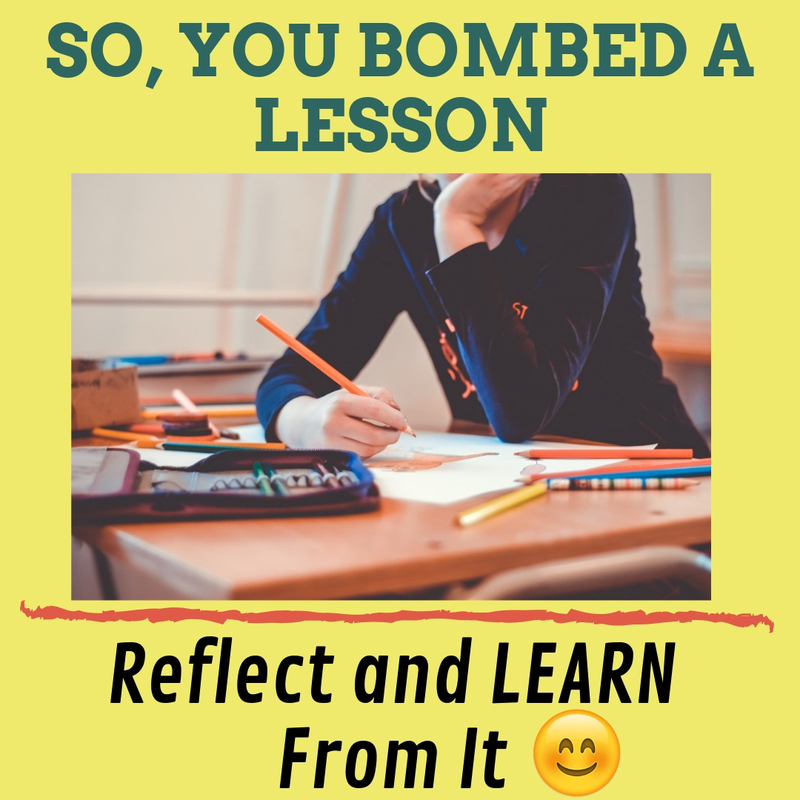 Have you ever planned a great lesson, then become quite excited about doing it with your classroom only to find out later that although your intentions were admirable, it was somewhat of a flop? This is common! You are most certainly not alone on this one and the good news is, it is a powerful learning experience IF you learn from it. The learning from these types of lessons can only put you on the path of becoming a great teacher! In fact, a Super Teacher!! When we reflect, we are stretching our brains by analyzing, reasoning, problem solving and therefore eventually..... improving. Sometimes, it is just something sim ple that needs to be changed. Let me share one of my own examples with you. Back in one of my 7th and 8th grade classes, we were working on learning about energy. I loved teaching science and was the science teacher for 7th and 8th grade students. I used to tease a colleague who loved history and taught history to those same students I had, that science was far more enjoyable as 'it was happening' unlike history that has already happened. Well, on this particular day, I found a great documentary by Bill Nye to accompany my energy lesson. My unit had been planned out meticulously, or so I though, and was ready to go but I felt this video would be a great start to my unit as well as a good learning experience. One would think, with a great guy who is inspiring like Bill Nye, that all would be good, right? Not quite. My simple mistake and believe me, I never made that one again......I didn't set goals with the students about the purpose of the video. And, no different from when I was a student and passed notes back and forth (before cell phones) and whispered here and there because I could, after all, it was just a documentary the teacher asked us to watch. AND, of course, I often missed the gist of the documentary. As did most of my students that day, due to my honest mistake. Like me, my students gleaned very little information during the viewing of that video. So, what did I learn? Establish purpose for everything, together! Each science video or documentary from that day forward, my students had either focus questions or response activities which were always given before the viewing. Sometimes, it was a list of things to watch for, or questions to seek the answers to, or at times it would be followed up with a quiz which they were informed about before watching. Something so simple and I missed it! Reflective teaching helps us to become more adept at our jobs, remember to learn from those bombs and be the teacher of the class that you, yourself would like to be in. By the way, speaking of science, I am growing the list of free teaching resources and worksheets for a variety of free science teaching ideas and much more over at worksheetplace.com for K-6. 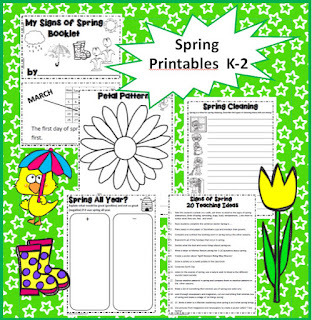 A great K-3 30 page freebie for teaching about spring! Are you teaching your students all about the signs of spring? Spring arrives on March 21st. The weather gets warmer, the hibernating animals awaken, the migrating birds fly north to their summer homes and the farmers plant their seeds. It is always motivating for students to learn about themes as they happen. 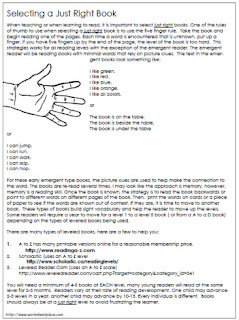 This set of printables has something for the K-3 learner that links to signs of spring. This free set of printables includes petal patterns, mini I can read it booklets, spring cleaning fun, persuade Mother Nature activity, a venn to compare seasons, cloze activities and much, much more. Phonics is merely the sounds that letters or combinations of letters make. For instance - when I say the word church or touch, I want the child to understand that the ch makes that sound that we hear at the beginning and the end of church and at the end of touch. Alone, a c and an h make a very different sound. However, together they make the 'ch' sound. Or to give a simpler example, phonics is the sound from a 'b' in the word bed, ball, bank, or the ending sound of tub and club. Phonics is the sound that letters can make. However, it can be dangerous to let students know that certain letters sound like ___ when in fact, those letters can make a variety of sounds. We want our students to know the various sounds letters make. 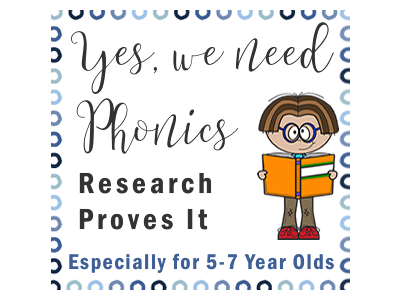 Over the years we've heard that phonics isn't necessary or we've heard that whole language is the way to teach. The pendulum tends to go back and forth over the decades. However, don't you notice that the pendulum always hangs on to the strategies that work? Phonics is one of those strategies. As I was growing up, the only time I heard about goal setting or the importance of setting goals was on New Year's Eve. It seemed that everyone set a goal for New Year's and then despite the short lived effort, the goal was rarely realized. Goals need a thorough think through. Goals need an action plan. Goals need to be: specific, time bound, manageable, attainable, and of course, realistic. Goals need to occupy your thoughts regularly in order to achieve them. Goals mean identifying the barriers to success and overcoming them. Any wonder why most New Years Goals fall flat??!! I have made a lot of resources to help individuals set and realize goals. Although these resources can be used for students, they're actually ideal for anyone hoping to achieve a goal. 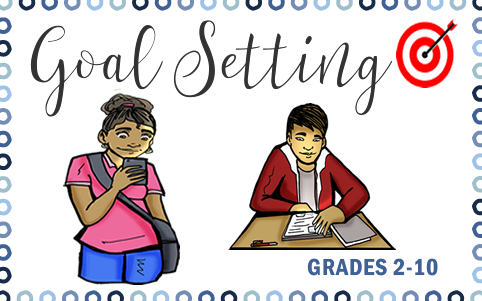 What does goal setting look like in the classroom? 1. Begin with a brainstorm about what a goal is. 2. 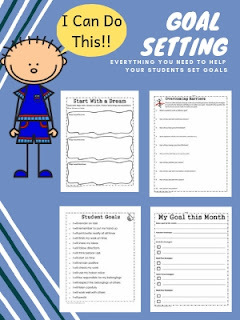 Ask your students if they have ever set goals that they have achieved. 4. Discuss what a reasonable long term and short goal might look like. 5. Ask the students to write down a goal that they would like to achieve in the next month. 6. 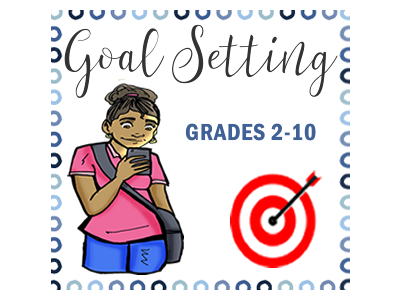 Have students write down a couple of strategies that will help them realize their goals. Although this is a start for students to think about their goals, you'll find more information and resources here. 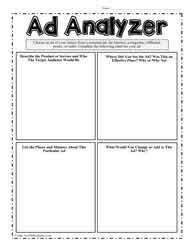 I am often asked for sample lesson plans, here is a typical K-2 lesson plan for comprehension. The ability to tell a story is associated with reading comprehension and early literacy skills. 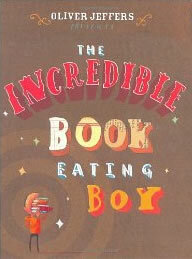 Choose great books to hook your students on reading and instill that life long love. Lesson Overview: Reading Responses based on a story read to the class each day for three days. 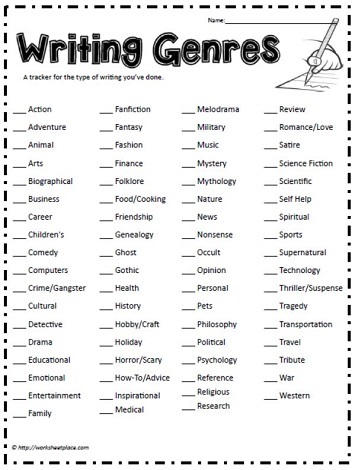 Learning Goal: Students will demonstrate an understanding of the beginning, middle and ending of a story by re-telling or restating important information from the story. Begin a discussion about the story. 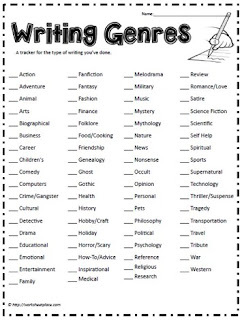 Probe the students with specific questions that will elicit the main events that happened in the story. Ask them when the events occurred by pointing to the correct word on the chart paper. Sample questions to help probe students: What was the problem in this story? How do you know it was a problem? How did the problem start? How did the problem end? Who are the main characters in the story? How did the characters contribute to the problem? How did the characters solve the problem? 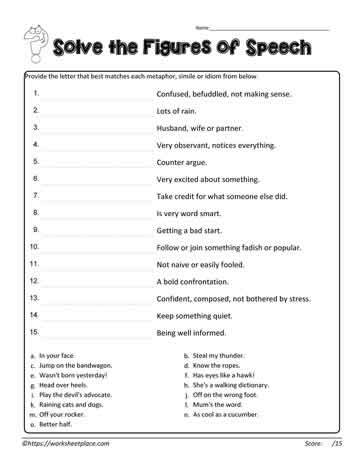 Prior to reading the story, ask the students what they remember about the story from the previous day. Ask the children to listen carefully for the events that happen at the beginning, middle and end of the story as they will be required to illustrate a timeline of the beginning, middle and ending. Divide the students into 3 groups. 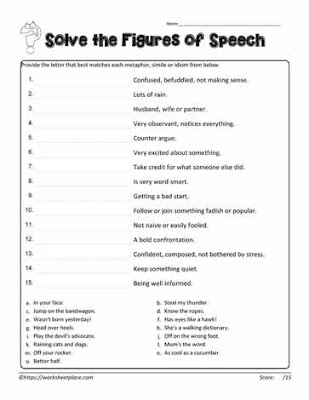 Let each group know that they will be responsible for acting out one of the parts (beginning, middle or ending) of the story. 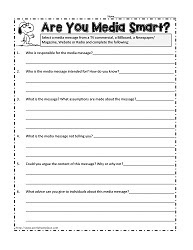 Let the students know that they will have a few minutes to organize themselves and that each student will be responsible for a sentence. Read the story the third time. 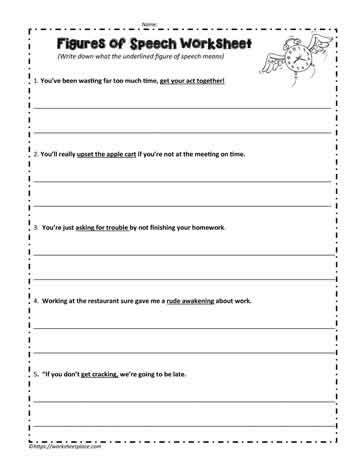 Provide 10 minutes for the students to prepare to retell the story orally. Call each group to the front to re-tell their part of the story. 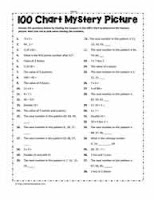 Ever wondered about all the math concepts that can be addressed by using a 100 chart? 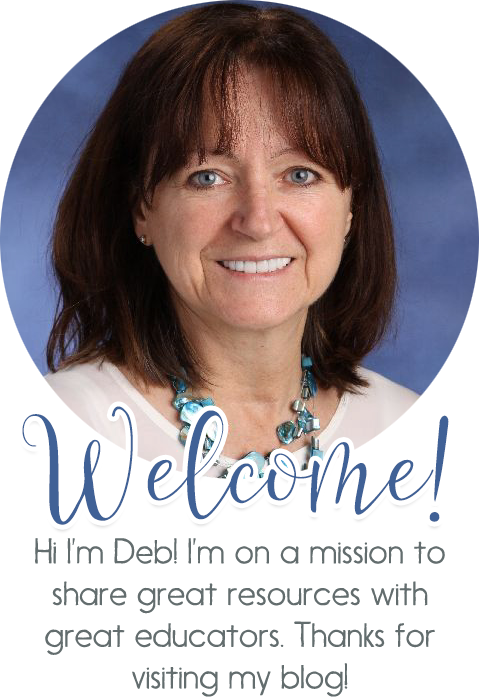 Let me start with my top 10 lesson ideas for a hundreds chart. More than and less than: we want our students to be able to quickly know what 1 more, 2 more, 1 less and 2 less than are. Play riddles, "I'm 3 less than 55, I'm 2 more than 18..."
Look for the patterns. Cover up all of the odd numbers with counters/coins. What pattern do you see? What can you say about any number on the diagonal? (downward, the one's place and ten's place increase by one digit, upward the ten's place decreases and one's place increases. 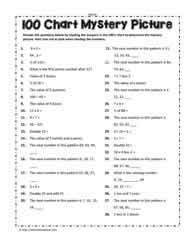 Problem solving/Deductive and Inductive Reasoning: Look at image 1. For a piece of the 100 chart, a child only needs one number to complete the rest. To solve these types of problems, the child says, I know the number beside/on top or below must be___, therefore, the missing number must be and so on and so forth. Growing and Shrinking Patterns: Identify as many of these types of patterns as you can. 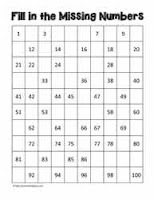 Adding and Subtracting: The hundreds chart provides an excellent visual to see subtraction and addition. There's much, much more that can be done, but for a great start, check out my hundreds chart worksheets and lesson ideas here. Are You Looking for Thermometer Clipart? 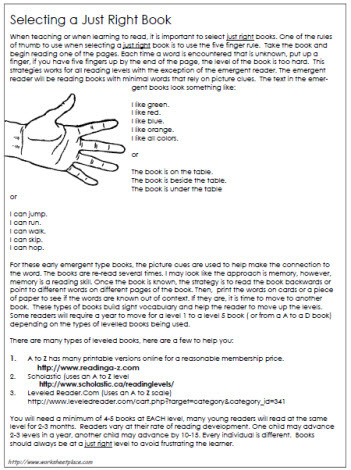 Look no farther, you can print from this page or you can print in PDF here. The thermometer clipart is in Celsius and Fahrenheit and a combination of both. As I began to update my weather worksheets, I soon discovered that there were very few good printable thermometers available to educators. AND, if you're teaching about weather, it's virtually impossible to teach about the weather without having thermometers, both real and printable. Hence, I decided to give my graphic arts program a go and see what I could come up with. 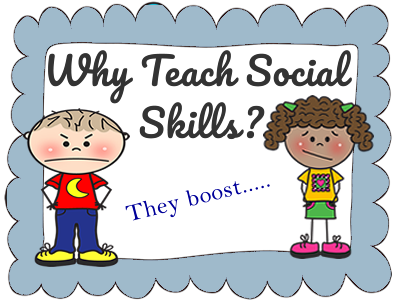 Many of us educators already know that we embed social emotional learning into the many things that we do on a daily basis. However, I'm going to share a few of some of those ideas here. Initiative: To support initiative, a child must feel confidence and have a good sense of self-esteem. Therefore by boosting their confidence levels and enhancing self esteem, you'll be setting your students up to take initiative more often. Collaboration and Cooperation: These skills are important, especially in group work. Do you provide opportunities to work together? 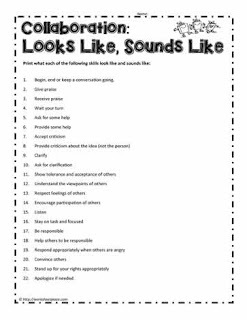 Do you help your students develop a code of conduct for group work? Students need to have opportunities to respect the ideas and opinions of others even though they may not agree with them. Ongoing opportunities for pairs, triads and small groups enhance collaboration and cooperation skills. Persistence or 'Stick With ITness': Sometimes this is also referred to as 'grit'. For a student to develop persistence, they need to learn from mistakes and see success. They need to have opportunities to overcome distractions and move on despite obstacles. Help children see the learning in the errors. Celebrate the learning from mistakes, help them to see that sometimes, the most permanent learning stems from making errors. Soon your students will not fear failure and develop persistence. Communication and Relationships: A language rich environment is usually evidenced in all good teacher's classrooms. Relationships are supported by providing opportunities for collaboration and cooperation. 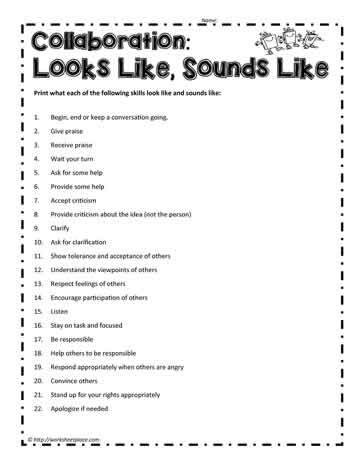 Social skill strategies also help with relationships. 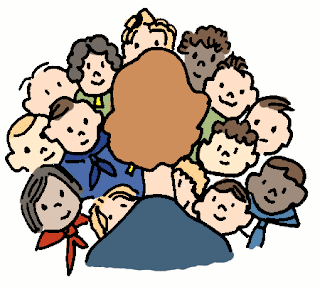 Leadership: Children have to work within various group sizes to develop negotiating skills which leads to leadership. Leadership also happens when students are able to be empathetic regarding others. The willingness to make compromises is another avenue to help children develop leadership skills. 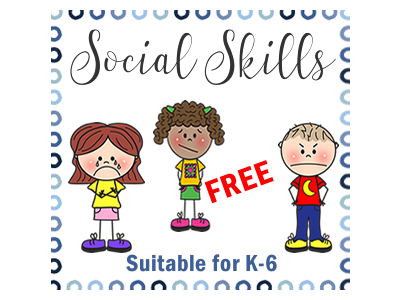 For a few worksheets on social emotional learning, view them here. 1. 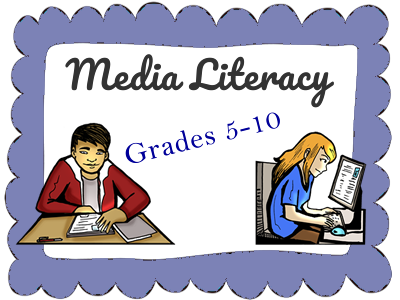 Have learners collect ads from a variety of media: web, billboards, magazines, newspapers, radio ads, TV ads. 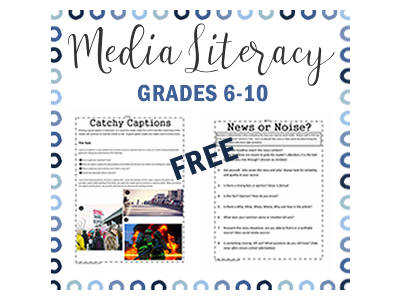 Use these worksheets with them to determine the target audience, the gimicks used in the ads, what information is missing that the viewer should have to make informed decisions. 2. Develop your own ad for a service or a product of your choosing. Be sure to use the ad planner. 3. Give advice to individuals reading ads, include at least 5 tips. 4. Why is it important to think critically about each ad you read , see or hear? 5. Why should you investigate before you buy or get a service? 6. What do you think is meant by 'Buyer Beware'? 7. Find 5 ads that target young people/children. How do you know these ads are targeting young people? 8. Find 5 junk food ads and indicate how or why you think that these are junk foods. Why would these ads be worrisome for young children? 9. Should ads on unhealthy products such as junk food, drugs, tobacco, and alcohol. be banned? Why or why not? 10.List all the persuasive methods that advertisers use to convince you to purchase a product or service. 11. Find examples of heroes or TV/Movie personalities used in advertisements. Is this effective? Why or why not? 12. Find ads that create a sense of urgency as to why you need this product or service. Is it effective? Why or why not? What other information is needed for you to make an informed decision about this product or service? 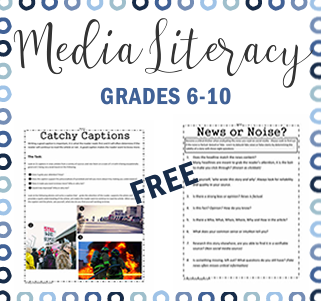 For great teaching ideas, check out these freebies here for your students.